Winner of this year’s prestigious bpNichol Poetry Award, Nelson Ball is renowned for his poetic minimalism. He succeeds like no other, in bringing to life a myriad worlds with just a few, exact words. I found the brevity of his lines akin to the Zen-like spareness of haikus, yet deeper. If at first reading, the poems may appear uncomplicated, on further delving, they are anything but. The calculated simplicity of his lines, filled with just the right nouns and verbs, create immense images, as in “Stark Beauty“. We get a mental image of Huron County in winter through the words: “blue-grey air, overcast winter day.” Just enough hints to lead our minds to make connections with winter landscapes we have all known, thus expanding the line out into what we have experienced, making us complicit co-creators of the images. That is pretty powerful, heady stuff. So too in the poem “Someone,” the location on a country plot of land — “a farmhouse on the Bronson Line south of Bayfield” — opens up a vista of an Ontario rural landscape with its typical vacant period house, overgrown with weeds, boarded up perhaps, “but someone mows the lawn.” We are led to wonder who the ‘someone’ is, and through this wondering, the images in our minds expand. Without it being said, we imagine a mysterious someone mowing the grass beyond mounds of tall weeds, the scent of cut turf, and beyond all that, the poet’s mother’s vacant home, white siding perhaps, a roof in need of repair, a truck parked on the gravel driveway, the scent of dinner from the open windows. So much nostalgia spilling onto the page, though of course, never once mentioned. This is Nelson Ball’s magic. Le mot juste, like the right spice in an otherwise simple recipe, spikes the flavour of his creations. His words, like atoms, though infinitesimal, deepen the poetic image by expanding it into allegory, enlivened and co-created by the reader’s own leaps of thought and associations to the words, thus sparking them into life. In this manner, in the poem “Signs” — “Early May: rain persists, non-stop, gathering in ditches, road-side puddles deepen, acquire geese.” The descriptive writing of the first three lines is nice and something I may have also done, but the last line is new. It adds the living element. It is a bombshell of a poetic device. The rain turned to puddles, acquires geese, and although we have all seen geese in puddles in May, it is still a wonderful surprise to see them appear at the end of this poem, as if life were sprouting out of an inert thing such as the rain, the miracle of life born out of static elements. One could take it further and see it as a great analogy to new poetic life growing out of found poetry. It was perhaps serendipity that when I saw the title of this collection, I was instantly drawn to it. The title resonated with me. You Can’t Make the Sky a Different Blue was a line spoken by artist Barbara Caruso. Akin to it are expressions such as “It is what it is”, “that’s life” and “C’est la vie!” It is a great aphorism about the unchangeability of certain aspects of life. Some things just are. We cannot change them. Perhaps these poems are aphorisms. They paint reality as it is, stripping the text of any baroque frills, baring it of any pretentiousness and, it is probably why I love them. Truth emerges plain and simple, absolute, juxtaposed to life’s inherent paradoxes. In “Catherine Visits III”, for example, the essence of the poem hinges on the two lines “I don’t like people” and “I played with words”. The poet prefers words to people and I concur. Words, veritably, never let us down. In “Futilities“, although the only two fruitless things the poet mentions are “Washing the infant’s face or the truck’s tires”, we are silently coaxed to conclude that everything else in life, for that matter, is also equally futile. The poet could go on and on, but he doesn’t. Similarly poignant, the poem “Birds” leads the mind to leap from birds to humans, as in “why can’t they stay in one place, mid-distance from where they summer and where they winter, someplace mild every day.” It made me think of a story I teach my students about a wise owl who tells the birds to do what they think they should do, so they do. This is wisdom of the middle way. It is human wisdom, imparted artistically, rather than didactically, and is all the more palatable because of it. Likewise in “Diets II”: Carmilla, the American bullfrog, “golden and sweet” has a very wide mouth that eats insects, other frogs, small birds, mammals, while the massive moose eats grasses and water lilies. Size doesn’t matter. The massive moose is gentler than the sweet, golden frog Carmilla. As in Aesop’s fables, we are warned, but here, without a moralistic ending. We are left to ponder the fact that a small, cute amphibian can be at times, much more dangerous than a massive moose. We come to our own obvious conclusion that we cannot downplay the perils that can come from anywhere and anyone. They could eat us, and often do. In reading this wonderful collection, I was reminded of the reason I write poetry. 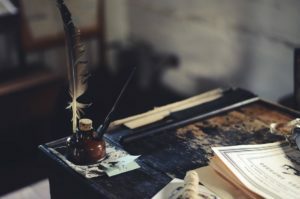 I remembered that it’s OK to be myself when I write and that it is possible for my words to resonate with others, even though they do not feature in the high rosters of poetry prizes or journals sporting nouveau pyrotechnics of language and technique. As in the poem “I Don’t Know the Rules”, it isn’t winning the prizes that’s important. The poet says: “Mostly they run, zig-zag, at lightning speed passing the ball, back and forth, fast actions of perfectly coordinated play that I watched in awe. One team won. I don’t know which. That doesn’t matter.” These poems say it all and they couldn’t have been expressed in any other way. They are perfect just as they are. Nelson Ball has taken poetic language down to its square root, distilling truths using deeply imagistic metaphors. Truly, you can’t make the sky a different blue. Josie Di Sciascio-Andrews is the host & coordinator of the Oakville Literary Café Series, as well as Chair of the Ontario Poetry Society. Recently her work has featured on HOWL Radio and The Artis Literary Journal. She has written five collections of poetry: “The Whispers of Stones”, “Sea Glass”, “The Red Accordion”, “Letters from the Singularity” and “A Jar of Fireflies”. Nature and one’s place in it, as well as memory and social justice are her muse. Her poems “The Red Accordion” and “Emerald City” were shortlisted for Descant’s Winston Collins Best Canadian Poem Prize and The Malahat Review’s Open Seasons Award respectively.In 2015, her poem “Ghost” received first prize in Toronto’s Big Pond Rumours Journal Contest. Josie is the author of two non-fiction books: “How The Italians Created Canada” and “In the Name of Hockey.” She lives, teaches and writes in Oakville Ontario, Canada.